Your Shingles Have Been Recalled! 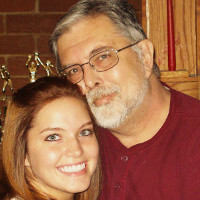 In 2010, the Certainteed Corporation settled on a class action lawsuit as a result of manufacturing defective shingles. In your case the “Horizon” shingle. NO, all rights, re-imbursements & benefits appointed by the courts were closed out effective October 3, 2011. What Does This Mean In Your Case? It means that Lexington Blue can still help! It was great working with Lexington Blue. 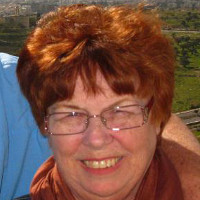 They have made the process of getting our home fixed and wading through the insurance papers such a breeze. I would recommend them to anyone. The customer service was great and easy to deal with. Great Job. Not only do these guys do great work, but they are very honest and reliable. 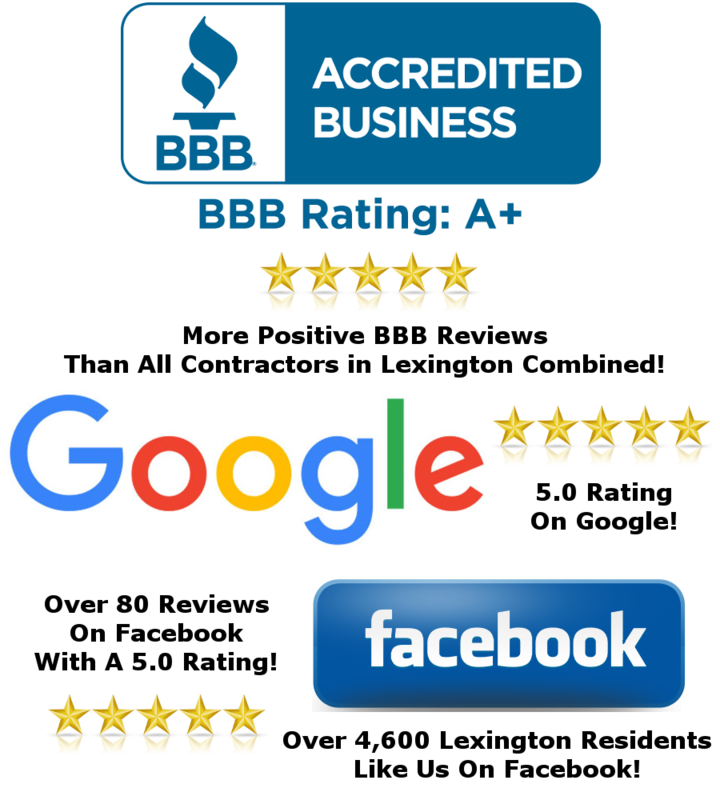 Highly recommend Brad and his entire team at Lexington Blue! 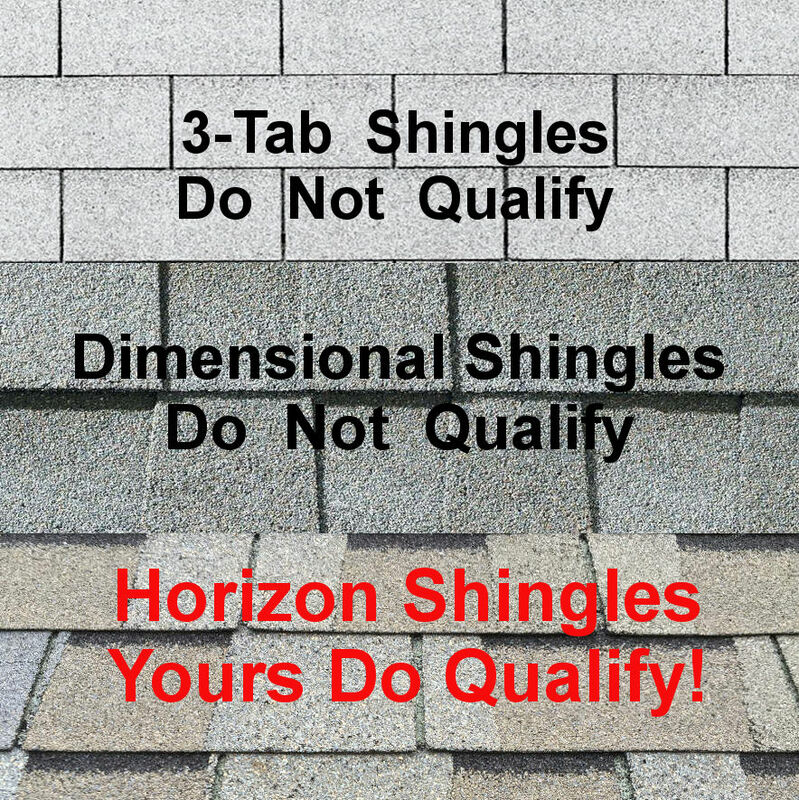 How Do We Know For Sure You Have Horizon Shingles? Fortunately, for many homeowners who trust in us, we are able to get their roofs fully replaced! It all starts with a FREE roof inspection! At Lexington Blue, we are HAAG Certified Roofing Inspectors & InterNACHI Certified! What Value Is That To You? It means we are trained, practiced & hold the knowledge necessary to thoroughly inspect for all types of damages that entitle you to a full roof replacement! We inspect your roof including the shingles, gutters, windows & your home’s full exterior. If we find storm or other related damages we record all incidents including photo documentation, measurements & a sketch of your damaged property. Upon validating existing damages we provide you with all confirmed documentation collected. We assist you with the steps required for filing a claim to ensure you receive all entitlements. We meet directly with your insurance adjuster (at your property) to confirm HAAG Certified Standards of related damages. Upon approval we supply and fulfill all related documents you’ll need for a seamless transition from your approval to your new roof! We schedule your new roof replacement! It’s as easy as that! Lexington Blue has become widely popular in Central Kentucky for delivering on our promises to each and every one of our clients. Want Proof In Our Story Of Success? Want To Confirm For Yourself? Our services include FREE roof inspections and claims assistance at no cost to you! It’s quite simple…First, we provide you a FREE roof inspection to assess existing storm damage. Secondly, we contact your insurance carrier’s claims department together to schedule your damage approval appointment. Finally, upon approval we install your new roofing system. That’s it! What costs will I have to replace my full roofing system? The only expense you will incur is your insurance deductible. Most of the time we can help homeowners with the cost of the deductible. We give you up to 3 months to pay it. There are NO ADDITIONAL EXPENSES involved. We do the work for the exact dollar amount awarded by your insurance company. NO…By law in the state of Kentucky, it is illegal to punish an individual or raise an individual’s insurance rates for claims that are subject to what is legally known as an “Act of God“. Therefore, your rates cannot increase. We inspect “Act of God” claims such as wind and hail inflicted damages. Not at all…Our reputation continues to grow rapidly from consistently delivering and fulfilling promises that we make to our clients. 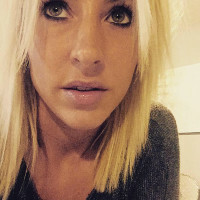 We have helped many homeowners with our unique process. Upon meeting with us, you will come to understand this process and realize your incredible opportunity. How would it make you feel to have a brand new upgraded roof installed without the expense? I don’t see any damage to my property. How can you be so certain I will qualify? Our experience with your type of “Horizon” shingle has proven to be a benefit to many homeowners. This is what we do! 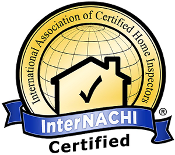 We are InterNACHI Members / 3RSystems Certified / HAAG Certified Roof Inspectors. Let us help you get a new roof and save you from replacing it at your own expense. My neighbor wasn’t contacted about this. Why not? If we attempted to contact you in efforts to help you and not your neighbor, it’s because they do not have “Horizon” shingles. We have been inspecting roofs in your neighborhood and you have the type of shingle that qualifies for this replacement. Unfortunately, some of your neighbors do not have the type of shingle that can qualify them for a full replacement. I haven’t noticed any recent storms in my area. Why Now? This is a common misconception by most homeowners. Storm damages can exist over time and not simply by one major occurrence. A news worthy storm is not required to have a full replacement. We have documented several qualifying storms in your area and as a result we are currently helping other homeowners with this very benefit. Will you be next? Contact Your Estimating Inspector To Schedule Today!